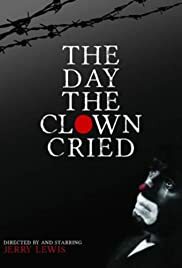 A circus clown is imprisoned by the Nazis and goes with Jewish children to their deaths. Stars: Jerry Lewis, Milton Berle, Sammy Davis Jr.
A six-film anthology depicting childhood horrors around the world. Jerry Logan is a Las Vegas police officer who is visiting France to see his ex-wife, with whom he is still friendly. She is remarried to Laurent Martin, who is a police officer in France. Q: When will this film be released to the public? I've been reading about this "notorious" film for many years now, and just listened to a podcast from projection-booth.com in which the reviewers were able to see a poor copy of the film and they raved about it. I doubt that Mr. Lewis reads comments on IMDb (but it's possible)and it sounds from interviews I've read that the film is a sore spot with him. From what I've heard from the podcast (and I read the script circulating around the internet, which apparently is very different from the film), the adaptation was far ahead of its time and I and many others would love to see it. Why isn't there some sort of campaign to get this film to the public? Even one showing at a film festival somewhere could possibly generate enough publicity for it to find a distributor who might be able to help straighten out the financial problems associated with it. If you're reading this, Mr. Lewis, please make this film available to be seen!